10 March 2014. The easy availability of brain-toxic pesticides in developing countries makes poisoning a common event. Worse, frequently used products include some of the most toxic substances that have long been banned elsewhere. The magnitude of the problem is difficult to ascertain, as hospital records can be incomplete and may not reflect the true occurrence of pesticide poisonings. 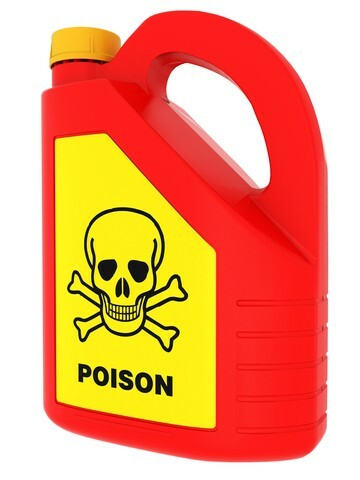 A new study from Tanzania shows that the true number of poisonings is almost three times higher than official estimates. Of the poisonings identified, about 10-15% affected children up to 10 years of age. The most frequently involved pesticides were Diazinon and Chlorpyrifos – substances that are no longer used in northern countries, although some of them continue to produce the substances for export. The new data suggest that about 4 poisonings occur per 100,000 inhabitants per year. Although higher than previous estimates, they are only about one-tenth of the numbers reported from Central America. The Tanzania study reported very few cases of permanent disability in survivors, and the authors attributed this finding to poor follow-up of poisoning victims and poor information systems. The records available surely do not reflect the detrimental effects on brain development in children. When pregnant women are exposed to pesticides, the fetal brain may be damaged. Damage is particularly severe after poisoning during childhood. As developing nations are struggling to grow out of poverty, the adverse impact on brain development caused by brain-toxic pesticides likely constitutes a major hurdle. The impact of pesticides is substantially underestimated, as the exposures and poisonings occur in areas with incomplete records and virtually no follow-up. Exposure to another brain-drainer – lead – has recently been calculated to cause a loss in the GDP of about 2% in many developing countries. Pesticides add to these losses by a yet uncertain but surely important amount. The harm to the next generation’s brains leads to costs that the countries can ill afford.